Your license has gone stale and must be updated. Please make sure the Internet is connected, then check for an updated license to continue using this product. When trying to renew the license I immediately encountered the following error in the authentication dialog. My Visual Studio 2015 is installed on Windows Server Technical Preview (Build 9841). 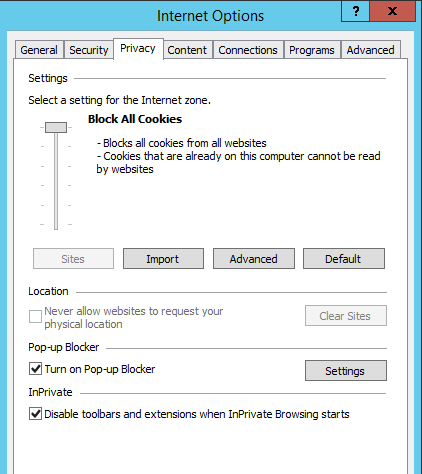 The internet zone privacy setting is set to Block All Cookies which prevent the authentication process used by Visual Studio to work as expected. 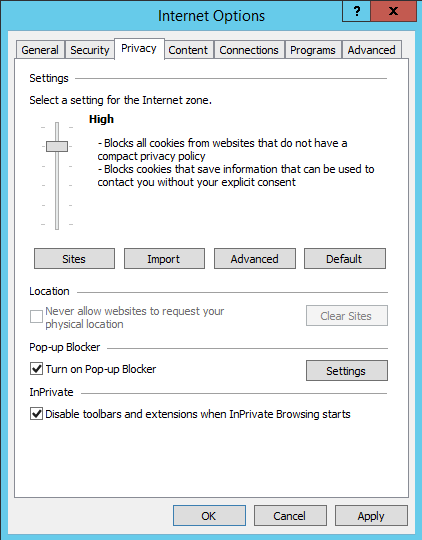 To fix the problem, decrease the security level to High and click OK.
With cookies not blocked anymore, the authentication will work as expected. Go back to your Visual Studio and renew your stale license.